A good restaurant website drives eager new clients to your tables, integrated with the highly – rated and almost – universally featured OpenTable reservation and booking plugin. So your customers can make reservations directly on your website. we have listed out some of the best WordPress Restaurant Themes of 2018 that you can use for your restaurant’s website. It also includes simpler themes for creating an official website for your restaurant that displays services and features of your restaurant. Wordpress Restaurant theme specifically built for sites run by restaurant, cafe and bistro owners. With a menu builder, reservation booking, events management and online shop manage your restaurant easier. Dina is a modern, clean and minimal restaurant WordPress theme. It’s the best solution for cafes, restaurants, bars, pubs, bakeries, bistros, pizzas and any food, drink restaurant related businesses. Includes food menu templates, reservation OpenTable or built-in forms, galleries, blog page layouts, team templates, unlimited color options and more. Ginger is a modern WordPress theme suitable for any restaurant, cafe, coffee shop, bistro, gastropub, bar, winery. The theme offers all essential restaurant features such as menu management, event promotions, gallery management, blogging, online reservation form with reservations management, and online shopping powered by WooCommerce. Tomato is a Modern, Creative and Responsive WordPress Restaurant Website. It can also be used as Cafe Website, Recipe Website or any other Food Related Website. Rosa is a daring WordPress theme build to help restaurant and other culinary owners. Grand Restaurant is a clean and modern WordPress theme for Cafe and Restaurant and any food related business website. It has predefined styling for Modern Cuisine Restaurant, Asian Food Restaurant and Elegant Food Restaurant which can be imported with one click. Resca is WordPress theme for perfect restaurant, cafe, bar, bistro, tavern, saloon, dinner website. It contains beautiful built-in WordPress Restaurant Menu Plugin. Also book a table with OpenTable or built-in Restaurant Reservation form. LemonChili is a premium, responsive WordPress theme with special features for restaurants, cafes, bars, clubs, events, etc. White Rock WordPress theme is a WordPress theme conversion of the Restaurant – PSD Template. Delicieux is a super premium theme for retail/restaurant. This theme also comes with super extensive admin panel. It has tons of features. Barnelli is a minimal and highly restaurant responsive WordPress theme. Clean, Modern Design can be used for any restaurant, bakery and food related websites. Nosh is an exciting and sophisticated restaurant and bar theme for WordPress. Clean and minimal, amazingly versatile and user focused theme. A Modern theme for Cafes, Coffee Shops and Bars. Eatery is a premium Restaurant WordPress theme created for restaurants and cafes. It’s easy to customize with awesome features and has plenty of easy to use shortcodes and tools. A Restaurant, Bar and Cafe WordPress theme. Beautiful, advanced and feature rich restaurant WordPress theme. It also incorporates Visual Composer and Revolution Slider which make it truly powerful and customizable. Tavern is a flexible WordPress theme, built for restaurants, bars, cafes, bistros and any other eatery businesses. It includes the Visual Composer, Revolution Slider and Essential Grid. Responsive restaurant WordPress theme suited for any kind of restaurant, cafe, coffee shop, bakery, cake and more. The main features is Fully Customize – Unlimited Color Schemes, Header and background image uploader, 3 Amazing Food Menu Styles, Additional Pricing, Food Menu Badge/Icon, Fully Responsive design, Reservation, Admin Theme Options. Elegantia is a premium WordPress theme for Restaurants and Cafes. Elixir is a clean and professional site template, perfect for Restaurant, Bakery, any food business and personal chef web sites. 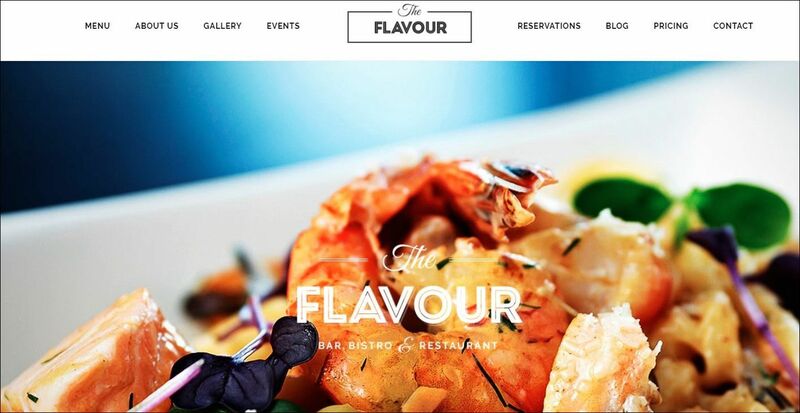 Restaurant WordPress theme with a classy and modern design. Responsive multipurpose restaurant WordPress theme which is designed for all types of food business related websites. Multiple Sidebars Advance theme Options Change colors of theme using theme options. Gastro is a versatile, feature-rich, multipurpose WordPress theme deliberately designed to fit every aspect of cafe, restaurant and food – blog website. Rodich is an awesome restaurant theme comes with classy design and powerful functionalities which has specifications that best suited for food industry. Creative eCommerce WordPress theme for Cafe and Restaurant and any food related business web site. Danny’s Restaurant shop is powered by Zion Builder, the powerful Visual Page Builder. Osteria is a delightful restaurant WordPress theme build on a solid UX infrastructure. Used by a wide range of gourmet owners: from charming business – family restaurants till large gourmet endeavours. 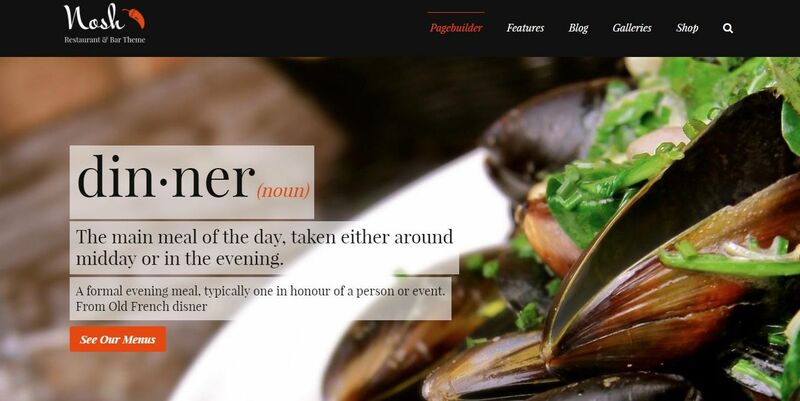 Porter Pub theme becomes a great tavern, craft beer pub, restaurant or diner website. You can showcase your dishes and drinks, like beer, advertise special offers, introduce new specialties in your pub or steak house. User friendly multipurpose gastronomy and restaurants WordPress theme. It has the extreme customization power and a very big set of modern components, features and options. Red Chili is a clean and modern WordPress theme for all kinds of Restaurant, Hotel and Fast Food Company. A multi-page design or a single page layout Restaurant WordPress theme. Black brick background adds savor to the layout and makes it very stylish. Large headlines divide the page into sections, which makes reading easy and absorbing. Content modules allow you to add multiple content types to your page including buttons, images, pricing tables, contact forms, sliders, and so on. Cafe and Restaurant WordPress theme. It features a full screen layout with a burger menu. All the effects of this theme are used to emphasize the style and help users focus on the content.